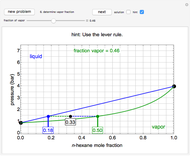 This Demonstration guides you through the construction of a pressure-composition ( - - ) diagram step by step for vapor-liquid equilibrium (VLE) of an -hexane/ -octane ideal mixture, assuming Raoult&CloseCurlyQuote;s law. 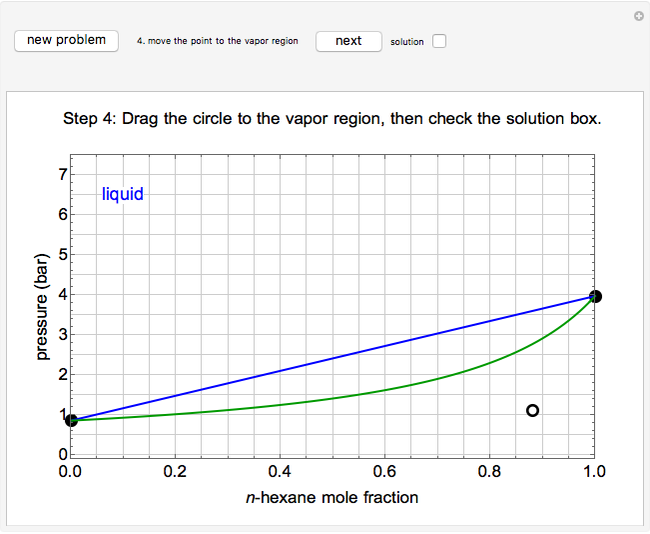 Click the "new problem" button to construct a diagram at a different temperature. 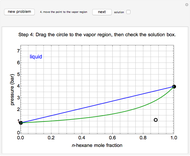 After completing each step, check the "solution" box to see the correct result, and then "next" for the next step. Once you check "solution," you cannot change your answer. Also, you cannot return to the previous step once you click "next." 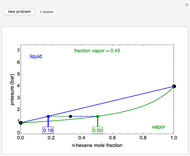 where for -hexane; for -octane; , and are the Antoine constants; is the saturation pressure (bar); and is the temperature (°C). 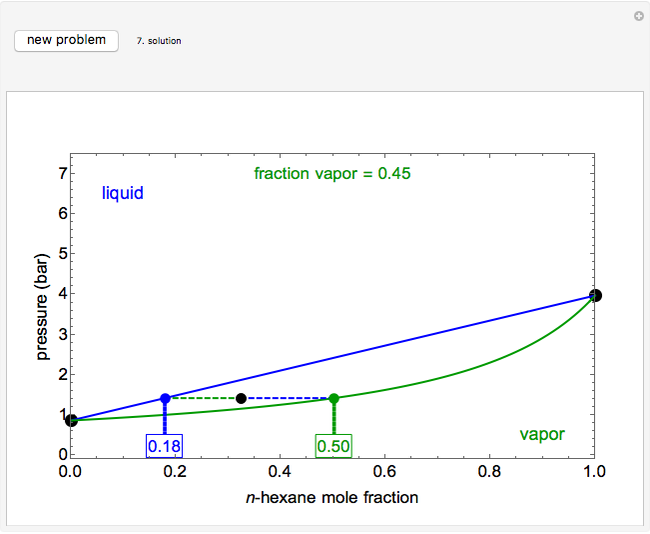 where is the vapor mole fraction ( ), is the liquid mole fraction ( ), and is the total pressure (bar). 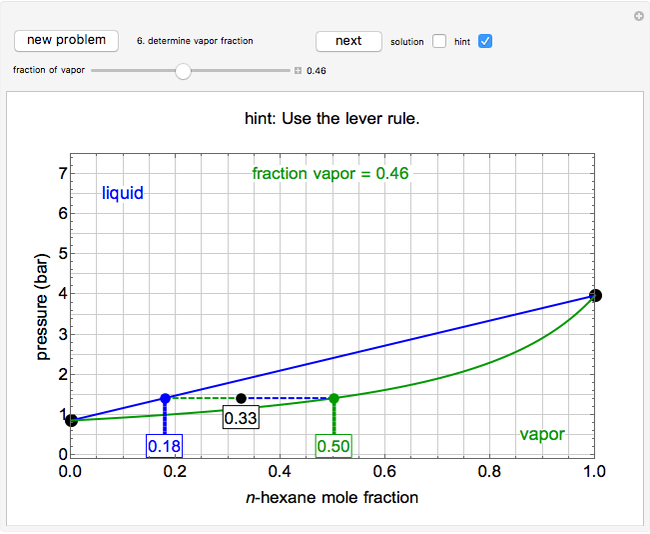 Rachael L. Baumann "Construct a P-x-y Diagram for Vapor-Liquid Equilibrium (VLE)"